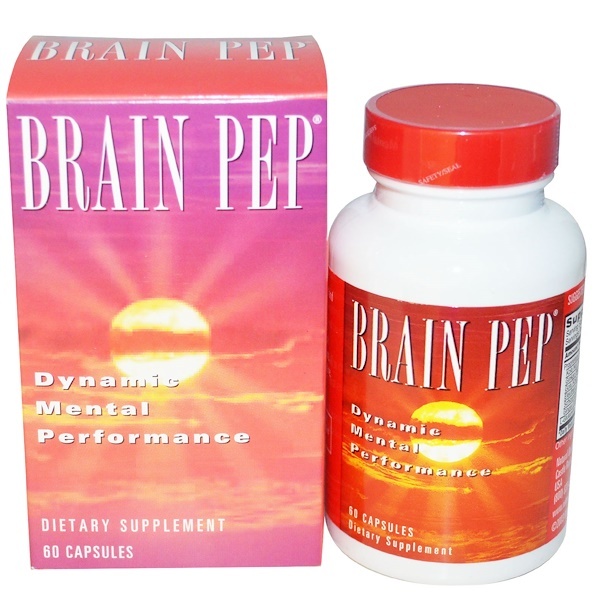 Brain Pep Helps Energize Your Mind! Remember the Brain Pep unique blend is what sets it apart. Brain Pep for That Winning State of Mind! Brain Pep herbal formula include's ginko biloba, one of Europe's most popular herbs, combined with eleuthero, gotu kola and other select herbs. 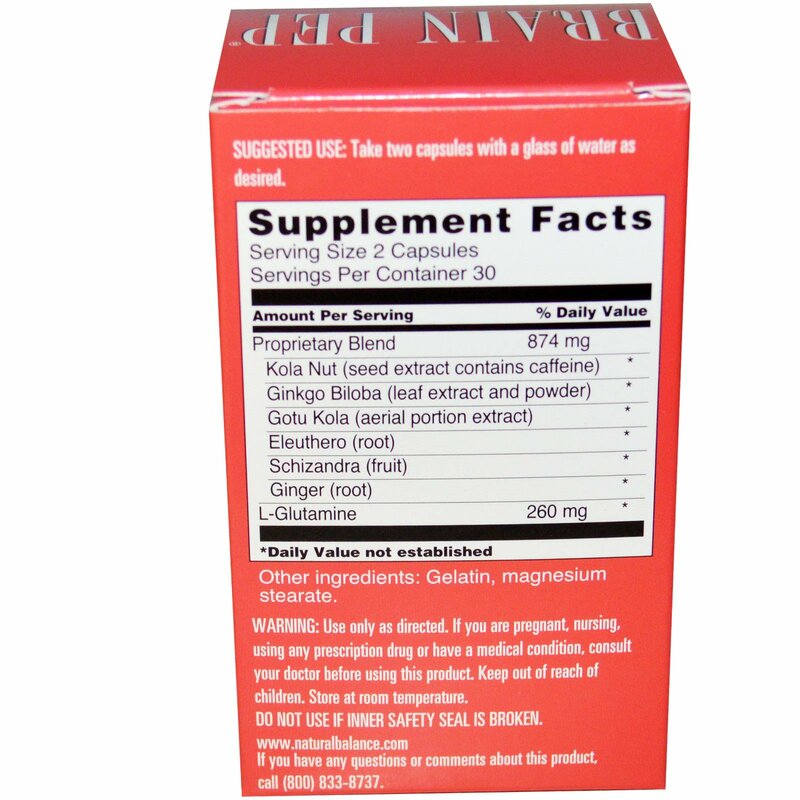 Since 1993, Natural Balance has energized people's health and well being by offering specialty supplements. Scientifically blending select high-quality ingredients into proprietary formulas is our art. Helping people live healthier, more enjoyable lives is our passion. Use only as directed. Take two vegetarian capsules daily. Maltodextrin, vegetarian cellulose (capsule), acacia and magnesium stearate.